The Post had been alerted by Merrin Pearse’s complaint on the PCCW Facebook page after his home broadband speed had sunk to an abysmal 250 kbps. The photo in the story was taken outside the Mui Wo library, where the WiFi network registered an equally pathetic 870 kbps. Merrin’s time spent on taking the broadband pulse of local institutions – with predictable results – reminds us that this not a problem of people missing out on fast movie downloads but of communities being disadvantaged. With advanced broadband local students would not be left behind, residents would be able to access remote health services and more business and employment opportunities would open up. On behalf of the Islands Broadband Concern Group I wrote to HKT managing director Alex Arena three weeks ago asking for a meeting between us and PCCW/HKT so we could learn about its broadband plans (NB: HKT is the telecom operating arm of PCCW). The sensible thing would be for PCCW chiefs to see this as an opportunity to open up a dialogue and to identify the most urgent problems and deal with them. They are not hard to find: the copper network and the DSL exchange equipment are woefully inadequate and need immediate upgrade just so as to deliver the 7 Mbps service promised. Mr Arena and co. should know that PCCW is bound by its 2010 carrier licence to deliver services at the level committed to in its contracts. It is clearly in breach of this condition and its frequent failures have been well-documented by dissatisfied residents. Beyond the urgent repair job it needs to show that it has a clear timetable for the construction of high-speed broadband infrastructure across the islands districts. If not, then we have confirmation that the competition policy that has worked elsewhere in the SAR has failed and islands residents are subject to a de facto monopoly. Then it becomes a matter for government agencies and LegCo, as well as a matter of considerable public interest. 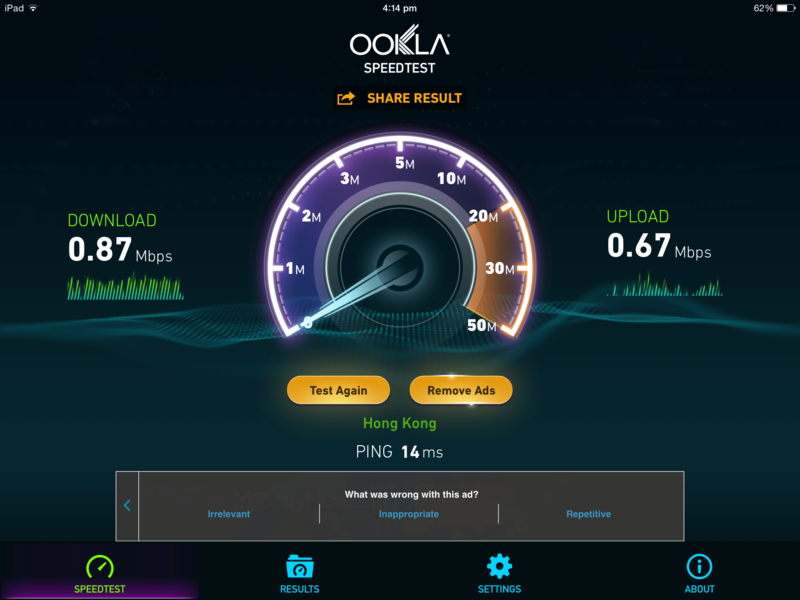 If the continental states of the United States and Australia believe that a 25 Mbps minimum broadband speed is both essential and doable, then it should hardly trouble our policy-makers to ensure that fibre cables cross Hong Kong harbour to bring communities into the 21st century. That said, the quick fix would be to use 4G LTE networks. With the new carrier aggregation technology, now being rolled out around Hong Kong, 4G networks can deliver 300 Mbps and upwards per user. PCCW can be shot of its high-maintenance copper network and charge higher prices for higher speeds. It would need to upgrade the subsea links to the islands, which is a tricky task requiring a dozen government approvals, but not an impossible one. The cost of this is relatively modest compared with the expense of deploying fibre. Hong Kong telecom operators should be willing to do this cooperatively and share the backhaul costs. If they don’t Ofca needs to rewrite their licences and make them do it.